In the lead-up to Israeli Prime Minister Benjamin Netanyahu's controversial speech before a joint session of Congress Tuesday, White House officials continued to point to what they see as politically divisive and diplomatically damaging theater. President Obama called it a "mistake" for the prime minister to speak before Congress so close to the March 17 elections in Israel. "It makes it look like we are taking sides...it is a distraction from what should be our focus," Obama said in an interview with Reuters Monday. White House Press Secretary Josh Earnest said the president probably won't even watch the speech. "I haven't looked at the president's schedule for tomorrow," Earnest told reporters Monday. "I doubt that he will spend his whole time watching the speech." 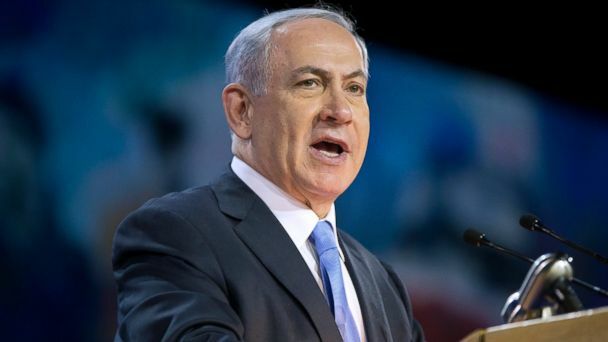 Netanyahu was invited by House Republican leadership to address a joint session of Congress Tuesday, where he will speak out against President Obama's plan to seek a nuclear weapons deal with Iran. The White House has said the partisanship resulting from the invitation would be "destructive" to the US/Israeli relationship. Earnest warned Netanyahu not to divulge any top secret information about the negotiations that the U.S. may have shared with Israelis, who have received detailed briefings on the negotiations. "Releasing that information would betray the trust that exists between two allies," Earnest said. He accused Israel of trying to "cherry pick" negative pieces of information gleaned from those briefings in an attempt to undermine the process. Speaking Monday at a conference in Washington, D.C., hosted by the largest U.S. pro-Israel lobby, AIPAC, Netanyahu insisted his speech "is not intended to show any disrespect to President Obama" and that the Israeli alliance with the U.S. is stronger than ever. "Ladies and gentlemen, the purpose of my address to Congress tomorrow is to speak up about a potential deal with Iran that could threaten the survival of Israel." Speaking at that same conference later in the day, National Security Advisor Susan Rice said abandoning the talks in favor of immediate sanctions would not stop Iran from producing weapons. Sanctions have not stopped Iran in the past, she said. And on Sunday, Secretary of State John Kerry said the negotiations with Iran have actually benefited Israel. "Israel is safer today because of the interim agreement that we created," he said on ABC's "This Week with George Stephanopoulos." "The 20 percent enriched uranium has been reduced to zero. We have stopped the centrifuge production. We are inspecting inside of their facilities. We have stopped the Arak plutonium reactor in its tracks." Kerry warned that Netanyahu's speech runs the risk of becoming a "political football." Samantha Power, the U.S. ambassador to the United Nations -- and the administration's choice to speak directly before Netanyahu at AIPAC -- also warned about playing politics. "This partnership should never be politicized," Power said. "The bond between the United States and Israel is still a national commitment. It should never be a partisan matter." Many Republicans and some Democrats support further sanctions on Iran before any potential deal on nuclear weapons is made. More economic sanctions would mostly likely put an end to negotiations, which the State Department is trying to complete before the deadline this summer. Secretary Kerry is in Geneva, Switzerland, this week trying to keep the negotiations alive.